You are here: Home › All, from most recent › Brand Marketing › Home & Home Furnishings › Interior Design › What’s Missing in the Interior Design Industry? In a Word, BRANDING! In preparation for my September 12 talk at the New York International Carpet Show (NYICS) on Trend Insights: What Consumers Are Looking for Now!, I have been digging into the interior design industry, one that leads the consumer market in home design trends. But behind the numbers are other trends that are changing the dynamics, competitive landscape and customer mindset about design. These shifts are causing problems, particularly for the traditional ‘to-the-trade’ manufacturers, as well as Interior Designers relying upon traditional means of finding new customers. 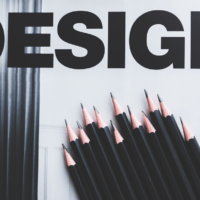 The ASID report states, “It seems that we are not only in a period of tremendous change for both the business and practice of design, but the pace of change is accelerating, with no signs of slowing. This complex, dynamic, and accelerating environment is difficult to navigate.” To which, I agree. To help me understand dichotomy between the fact that on the surface the business of interior design looks so bright, yet so many suppliers to the trade aren’t feeling ‘the love,’ I asked my go-to home expert, Chris Ramey, to help me understand. Formerly president of International Design Guild, the world’s largest chain of decorative floor covering showrooms, Chris leads the Affluent Insights consultancy and The Home Trust International, a consortium of companies and designers that provide products and services for luxury homes. He’s got his finger on the pulse of what is really going on in the interior design industry, both from the supplier and the service side of the business. Chris continues, “Amazingly, there remains a strange and misguided sense of entitlement among design professionals and design resources that they needn’t do what the rest of luxury industry understands is necessary to find new clients and drive business.” Part of the entitlement he refers to is the notion that the design trade has a lock on the luxury and affluent clientele. And as a result, they are losing share of wallet to other categories that clients care about. And they care because those brands and categories are investing in luxury marketing and branding strategies to create awareness and desire. In other words, the clients want RH or Waterworks brands because these brands have built awareness and desire. The result is clients may request these brands from their Interior Designers or simply side step designers all together and go direct to the source. The brand identities that RH and Waterworks have built in the mind of the consumers gives them confidence to make their own purchase decision, as well as pride of ownership that they have made a good choice. This, in effect, has ‘disintermediated the design professionals.’ Their sales strategies undermines the Interior Design profession. As Chris says, “The brands in the home say something about your sophistication as a home owner. A sophisticated and informed buyer acquires a Steinway piano whereas a Yamaha piano provides different cues. A Subzero refrigerator says something about the home owner.” Powerful luxury branding has established their presence of place in the affluents’ home. But too many to-the-trade designer brands have not invested in such consumer-focused branding, and so have become increasingly commoditized as better marketed brands capture market share, in spite of the fact that the to-the-trade brands offer better quality, superior style, longer life and performance. In marketing, customer perception is reality. The most successful brands are almost always the ones that invest most heavily in branding and marketing. If the customer thinks their new RH designed living room is state of the art in luxury and design, who can tell them differently? RH has already convinced them so. He adds, “Any offering that is void of brand lacks value to the luxury consumers, since Interior Designers have primarily built their business around craftsmanship, quality and an aesthetic that most customers don’t necessarily understand. But they understand ‘brand,’” as RH and Waterworks testifies to. The solution, therefore, is to bring brand forward in the interior design industry and position the brand’s values directly to the consumer, even if Interior Designers remain the conduit through which the brand is delivered. This advice is given to both the to-the-trade marketers and designers, who have traditionally relied upon word-of-mouth and recommendations as their chief marketing tool. WOM may be favored, but designers need a solid foundation in branding and marketing to be truly successful. He continues, “For virtually every successful interior designer and every successful luxury brand or company, it is brand first, not product. Star Architects and star Interior Designers are ‘stars’ because their marketing and PR preceded them. If you want to be very successful, you have to become marketers first.” Need more proof, then look at the NYICS’ keynote speaker, Jonathan Adler. The goal of that marketing, both for to-the-trade companies and interior designers, is to expand their range of influence and communicate their value propositions directly to the people that most matter, and in this industry it is the affluent and high-net-worth individuals. “You have to think more strategically. You have to expand your prospect base with marketing if you want to grow.” Chris says. He organized Home Trust International to do just that. As a membership network, The Home Trust International helps its members reach a wider affluent consumer audience. They collaborate and learn from each other how to be better marketers. An essential element it offers to-the-trade marketers, luxury home resources and design professionals is the ability to affordably tell their branding story directly to the high-value customers that will ultimately grow their businesses. With a focus on its digital platform, their luxury strategies have included focused digital marketing, direct mail, trade-focused newsletters and collaborative approach to print advertising in such as Bentley Magazine, WSJ and Architectural Digest. Click this link to learn how Chris Ramey and The Home Trust International can do to help grow any brand in the luxury or design shelter industry including design professionals in today’s increasingly complex and competitive consumer-driven market. Comments Off on What’s Missing in the Interior Design Industry? In a Word, BRANDING!